There’s always been a controversy as to whether or not whiskey is an appropriate drink to pair with food, but the popularity of the idea of pairing whiskey with food is growing. It’s interesting to note that earlier whiskey was always enjoyed on its own i.e. without any food. Having it with food was considered bizarre. Though it was a common practice to have something to eat with whiskey in European and Asian countries, it remained a little unconventional in the United States until now. 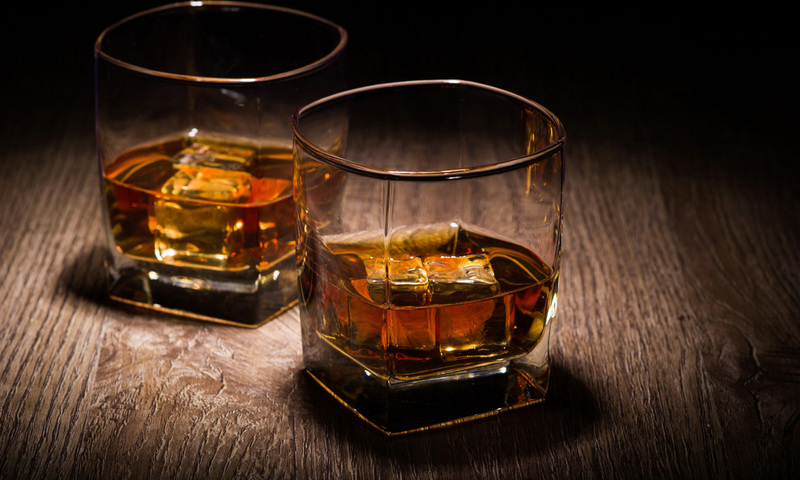 However, thanks to the connoisseurs who are pairing foods that go extremely well with this divine amber-colored liquid that comes in many forms- whisky, Bourbon, Scotch or Rye- it is slowly gaining popularity in the United States, too. In order to pair the whiskey with foods, you should have a basic idea of the classes and types of this spirit. The flavor of whiskey varies from light to full-bodied; from a touch of sweetness and fruit, with citrus notes, to more complex and bold with strong peat, earthy and smoky notes. According to the flavors, food is paired with whiskeys in a manner so that neither the whiskey or the food dominate or overwhelm the flavors of the other. Rather, they should complement each other’s flavor and help elevate the experience. For example, bourbon has a hint of vanilla and caramelized sweetness in it, so it goes well with foods having this caramelized component. The general rule of thumb is, light whiskeys go well with seafood and spicy meals, while medium whiskeys go well with high protein meals and full-bodied whiskeys go well with hearty dishes containing high-fat content. Dark Chocolate: Chocolate and whiskey really complement each other. Instead of opting for sweet, sugary chocolate, go for good quality dark chocolate bars. Experiment with chocolate and its recipes here, mix and match until you find the perfect match for your spirit. Dark orange-flavored chocolate is a good choice to experiment with scotch, as the citrus note in scotch will really enhance the orange flavor of the chocolate. Plain dark chocolate goes well with strong whiskey. Milk chocolate, plain or with a hint of ginger or chili, works well with rye whiskey. Salted hazelnut chocolate goes well with single-malt scotch whiskey. Meanwhile, America’s favorite bourbon goes well with almost all kind of chocolates\. Cheese: Whiskey and cheese share so many things in common. Both are aged, and both come in so many different flavors. This is the reason why cheese makes such a good pairing with whiskey. Aged cheddar goes well with whiskeys having a smoky flavor, while strong blue cheese goes well with spicier whiskeys and soft cheese, s such as brie or goat cheese, goes well with light fragrant whiskeys with a touch of sweetness. Dried Fruits and Nuts: You can’t ever go wrong with dried fruits and nuts. Just be a little innovative to mix and match. although you need to be careful in mixing the flavors. Keep in mind what flavor of nuts and whiskey complement each other. For example, sweeter nuts will go well with strong, peaty whiskeys, whereas sweeter whiskeys go well with bitter ones. Smoky-flavored whiskeys go well with heavily roasted nuts. You can go in for a premix pack of party nuts, as well. Grilled Steaks: If it’s a dinner party and you are unsure what to serve with whiskey, go for grilled steaks. This pairing can never go wrong. Steaks go very well with medium-bodied rich whiskeys. Whiskeys having rich deep and smoky flavor really work well with beef, although you need to experiment a bit according to the flavors that you are putting in your steak and its fat content. For instance, if you are going in for a leaner steak, Bourbon goes well with that. Meatloaf: Meatloaf goes well with strong, peaty whiskeys. The high alcohol content and spiciness of full-bodied whiskeys, like a flavorful single-malt whiskey or rye whiskey, goes well with rich, fatty dishes like meatloaf. Healthy meatloaf served with barbecue sauce goes well with strong whiskeys. Smoked Salmon: Smoked salmon marries well with whiskeys with high rye content. The smoky flavor of the salmon gives the bourbon a spicy, fruity taste. These two flavors complement each other really well. Apple Crumble or Apple Pie: This dessert goes amazingly well with light fragrant whiskeys having a touch of sweetness. It can be served with American whiskeys, such as Bourbon and whiskeys having high rye content. The caramel flavors in the Bourbon complement the apple pie exceptionally well. You don’t have to be a food connoisseur to have whiskey parties at your home, but you should certainly know the basic flavor characteristics of the spirit that you intend to serve. 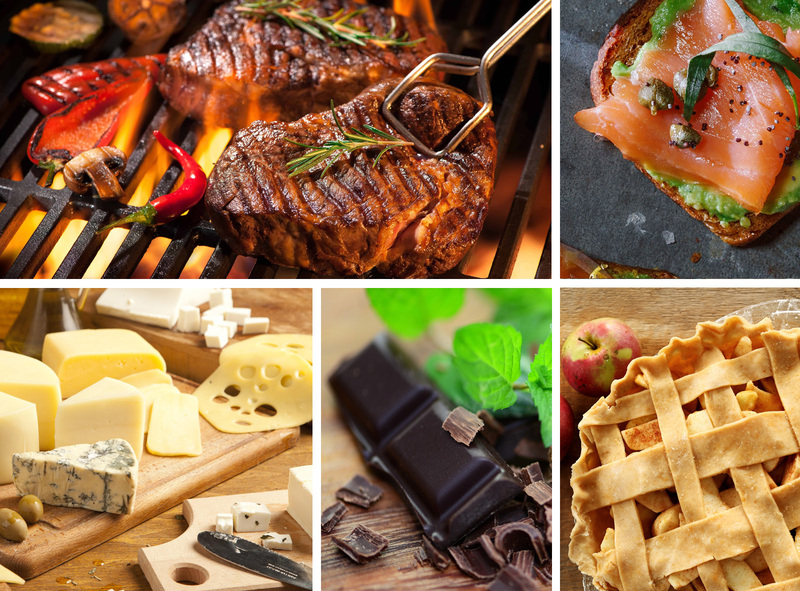 Play with ideas and you’ll soon be an expert in pairing food with your favorite drink. 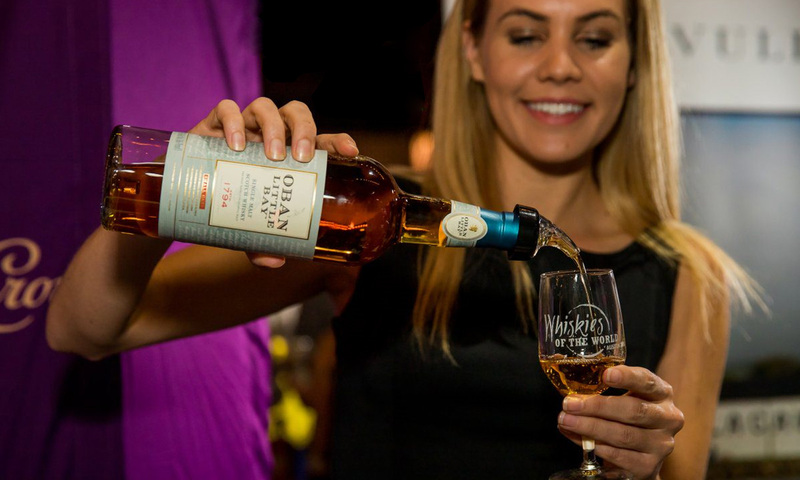 A great way to learn about whiskeys and what pairs well with them is by attending this weekend’s 6th annual Whiskies of the World Atlanta. Set for 6 p.m.-10 p.m. Eastern Time on Friday, November 2, at the Intercontinental Buckhead, the event features more than 200 superior whiskeys from around the world, with local distilleries strongly represented, as well as food and cigar pairings, master classes and the chance to mingle with whiskey enthusiasts and ambassadors. The event is a fundraiser benefitting the North Atlanta Rotary Foundation: Service Above Self. Attendees must be 21 and over, providing proof with valid identification. Tickets are $120 for general admission, $145 for VIP admission. For a $20 discount courtesy of 19th Hole Magazine, use promo code MEDIA20 when purchasing tickets at Whiskies of the World Atlanta Eventbrite website.